The future of human transportation is not a petrol-engined vehicles like today. At least this is proven through the development of alternative energy available, such as electricity, and sunlight. For the latter, one of the parties focusing on developing it was Hanergy Holding Group, a leading solar energy company in the world. More recently, they introduced the four solar-powered cars. Its solar panels `caught` the sunlight and convert it into electrical energy. 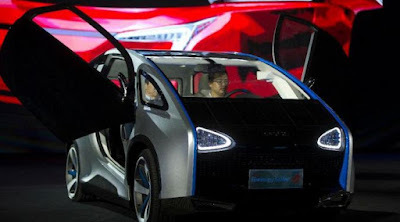 As quoted from Gizmag, a company spokesman said, "these cars, which can be recharged during the day while driving, it also contains the lithium batteries, thus enabling rechargeable also at the (recharging) station, when there is no sun or during long trips." 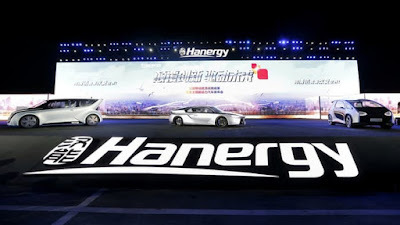 Explained, by drying the car in the sun for five to six hours, the Hanergy car can travel about 80 kilometers. These cars should have been introduced years ago. But later postponed due to the company having problems because its shares down 47 percent in one day. Although still a prototype, these cars are not impossible commercialized. Many benefits can be obtained if these are achieved. For example, the cost of making solar panels could be cheaper, even up to 90 percent.